The link contains a scenario with AI targets around KXTA. To install the scenario, copy the file into your FG installation under "data/AI". changed ch53e link to jmavs repo. What about the download location of the SR-71? There may also have been some other aircraft mentioned on the forums that are worthy of a link. Check the SR 71 thread maybe? It's not yet an official OPRF airframe, so it doesn't belong here yet. 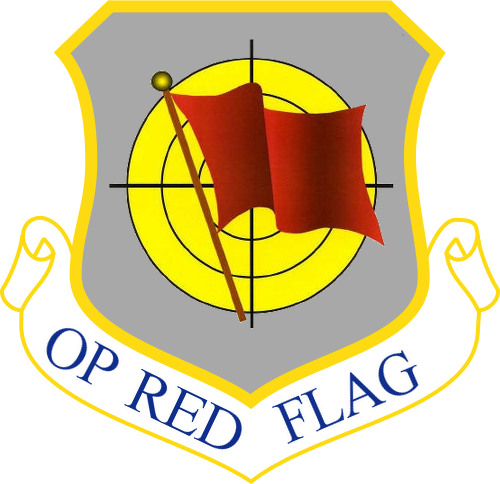 This page has all the official OPRF airframes. About the way we download the latest "approved" aircrafts for our operations, I'd say that in my opinion it's better if you make separate downloads for each aircrafts so when only a fighter gets an update, we don't need to re-download every time the huge 300MB zip file with everything on it. It just take too much time and occupies space on the final user's PC (of course someone removes the unused files but this is still something which take time). So maybe if you can separate all the aircrafts and make a single download for each plane it would be better. Also, think when you'll have more than 4 approved aircraft in that zip file, how many time will it spend to download? Could you change SH-60J link to this one? Also add UH-60J as it is also damage-modeled. You forgot a word, PINTO. Need a hint? Can also the EC-137R (AWACS) be included in the list of "approved" aircrafts and hour-tracking system since it has all OPRF standards working now? It's in the same link of the KC-137R. No - the nav display in the cockpit will show all aircraft, even if a radar couldn't see it (tested fresh from git last night). This will need to be fixed first. EDIT: I didn't check the other variants, but if they use he same code then they'll need to be fixed too. I'm leaving them on for now (it's a hella lot of work to take an aircraft off the list), but I'll remove them if it's not fixed soonish. Any hint about how to do that? Maybe implementing the nasal files of the AWACS system? that traffic is already disabled in the nav display. Just pulled from your git master. Don't understand that, it should not show any planes in that display. Has been removed yesterday because it's the only easy way to fix that but now we have to occupy some more space to find a working modern radar when the nav displays were the alternative to that. It'd take a while to do that by copying all fgdata files for the NDs and customize 'em. I suggest that the text at the bottom of the post be moved directly under the relevant files (or something like that) so that users do not wrongly interpret it as being applicable to all the listed files. How do you fire the Missiles on the BUK-M2?